La Casta Skin care products are originated from Paris, France and have been designed to be use at home and by professionals. The formula caters to different types of skin condition, which can dramatically improve the conditions of skin when it is used regularly. In addition, mild ingredients are used and it is widely accepted by all skin type including sensitive and allergic skin. The founding spirit of the Helenere Laboratories, still very much alive today, was to develop intrinsically performing products and not rely solely on brand imagery. 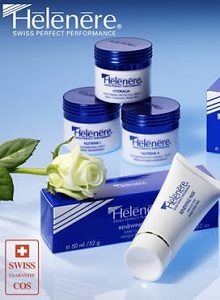 Products are manufactured with the care and concern which typifies Swiss products.